Scientists are constantly proving that simply taking antioxidants can improve your chance of getting pregnant and staying pregnant by making your cells healthier. One specific nutrient being studied for the role it can play in the fertility health of women with PCOS and those experiencing recurrent miscarriage is N-acetylcysteine (NAC). What are Antioxidants, Oxidative Stress, and Free Radicals? Oxidative stress (damage to cells) caused by scavenging free radicals within the body is linked to many diseases associated with infertility like polycystic ovarian syndrome (PCOS) and reproductive dysfunction, including, but not limited to: menstrual cycle irregularities, anovulation, hormonal imbalance, decreased egg health and recurrent miscarriage. N-acetylcysteine (NAC) is an antioxidant and anti-inflammatory that helps the body make the protein glutathione. Glutathione is a powerful antioxidant that fights free radical damage and protects the body from oxidative stress, while supporting a healthy immune system. NAC & Insulin Resistance: A 2011 report published in the European Journal of Obstetrics, Gynecology and Reproductive Biology showed that female study participants who took NAC responded equally as well as those who took Metformin alone. The women who took NAC showed positive weight changes (reduced BMI), improved fasting insulin levels, and free testosterone levels which resulted in reduced hirsutism and regular monthly menstrual periods. Through my research for this article, I learned that many studies of NAC have been performed on animals and NAC was given in varying doses. NAC is available over the counter, but it would be best, if you are interested in trying NAC, to work with your healthcare provider to determine the best dose for your needs. NAC does not come without caution. In terms of reproductive and developmental toxicity of orally administered NAC, no one agrees how much NAC is a toxic dose. Several sources share that consuming too much NAC when not needed can contribute to infertility by causing oxidative stress, rather than prevent it. In my opinion, this is evidence enough that NAC should be used respectfully. Have you supplemented with NAC? If so, please share your experience in the comments area down below. I would like to share my experience with NAC. I used NAC in the past because I heard about its effect on demasking infections. For example I suffered from mycoplasma infection, but there are a lot of pathogens (ureaplasma, chlamydia, etc.) forming biofilms and therefore they become invisible for immunity and also therapy may be unsuccesful. Combination of NAC + Olive leaf extract helped me and after 3 months tests became negative. That is outstanding Veronika! Thank you for sharing! Yes, NAC is known to help women with endometriosis. It’s believed to support a healthy inflammatory response in the body and also acts as a potent antioxidant. I’m taking USANA Essentials (mega antioxidant and chelated minerals) and Hepasil, both containing N-acetyl L-cysteine, for 2 years now. These supplements are organic, potent and pharmaceutical grade. 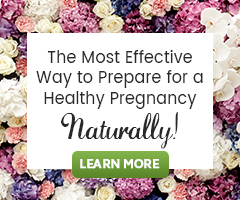 It greatly helped my fertility issue. I am so happy to hear your program has helped you!